The victim, whose identity has been withheld by the police, received a text message from her bank 30 minutes later that Rs 3.8 lakh had been debited from her account. New Delhi: She didn't want the loan, not even if it was available at a very low rate of interest. But the woman at the other end of the line was persuasive and she fell for the scam. Last month, the west Delhi resident invited the woman, who had identified herself as a loan agent, to start the paperwork for the loan from a nationalized bank. She gave her copies of the documents including her Aadhaar. She also gave a signed cheque that she thought had been cancelled in front of her. 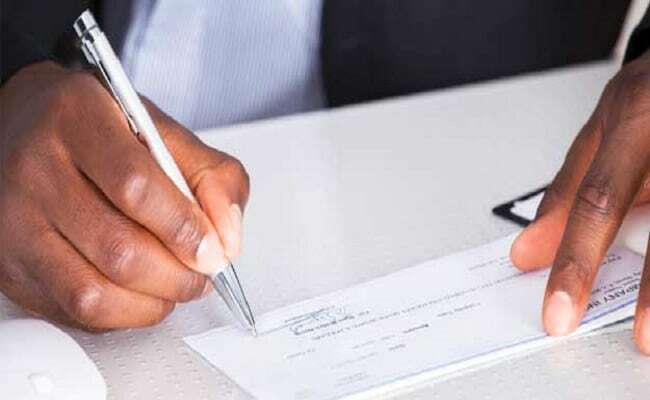 But the agent only drew a line in the space meant for writing the name of the beneficiary to convince her that it was a cancelled cheque, senior police officer Vijay Kumar said. It wasn't. She rushed to the bank but there was nothing they could do about it. It was her signature on the cheque. She later filed a police complaint. This week, the police said they had cracked the case and arrested 40-year-old Deepak Arora. Vijay Kumar, the chief of west district police in the national capital, said Deepak Arora told the police that he and his wife, Shobhna, had come up with the idea to cheat people to meet Shobhna's medical expenses. In a statement, Mr Kumar said she suffered from a "serious disease". In this case, he said, after he cashed the cheque, he gave half the money to his wife for treatment and left for Saharanpur in Uttar Pradesh with the rest of the money. He came in contact with some bookies and started betting on the IPL matches but kept on losing. By the time the police tracked him down in Uttar Pradesh, he was left with only Rs 60,000. "His wife stayed in different hotels in Delhi and spent money on her treatment," Mr Kumar said. Shobhna has not been arrested yet.